Accounting is the language of business because it's both useful and universal. If, say, a company has $1 million in sales revenue, and the cost of goods sold is $300,000, the gross profit on the income statement is $700,000. The numbers add up the same no matter which nation you work in or whether you speak English, Portuguese or Farsi. That allows investors and executives around the world to understand income, expenses and company value the same way. Warren Buffett usually gets credit for first saying accounting is the language of business, back in 2014. Buffett pointed out that accounting in some ways is literally like a foreign language that has to be learned before you can understand it. Like French or Hebrew to an English speaker, accounting has many terms that sound foreign when you first encounter them: fixed assets, retained earnings, accounts receivable. The advantage of learning the language is that you can speak it everywhere. Any income statement or balance sheet drafted according to the United States' generally accepted accounting practices will be readable and understandable by anyone who knows the basics of GAAP. Even before Buffett turned the phrase, the use of accounting as a business language went back centuries. The Sumerians used accounting, though not in any form that GAAP would recognize. Correspondence counting used physical tokens to represent real goods: 10 stylized cow figures to represent the sale of 10 cows, for instance. A foreign trader could compare the number of tokens to the number of cows and confirm the amount was accurate, even if they didn't speak Sumerian. Even a trader who couldn't count could figure it out. From using tokens, it was a short step to recording the number of tokens in each transaction on clay tablets. The Sumerians developed a stylized written system for tracking business transactions, the world's first bookkeeping ledgers. This system made it easier to trade, make business plans and collect taxes. Accounting isn't the only discipline defined as the language of business: finance and economics could also qualify. All three are part of the core decision-making process. The language of accounting explains a business's financial situation: how much money it brings in, how much its assets are worth, how much it owes. The language of finance takes the data that accountants develop and uses it to project the future: How will the company's value grow? What will the rate of return be for its investors? How should the company allocate capital? Economics is the language for discussing the underlying bedrock principles of how buying and selling works: supply and demand, consumer preferences, price elasticity. All three languages can play a role in business decisions. For example, suppose your company has to decide whether to invest time and money in launching a new product. Accounting gives you hard numbers for what similar products have cost to launch in the past. It also gives you the figures for buying more manufacturing equipment, raw goods and the price of hiring more workers. Accounting by itself may not give you the right answer, however. Past costs include overhead such as utilities, and administrative expenses, such as executive salaries. Those may not go up when you add new product lines or increase output. That's why you need finance and economics to project the future. Using the language of finance, you start with your accounting data, then ask further questions. How will the costs of producing the new product affect your cash flow, for instance? Even if you're certain the product will be profitable eventually, it might drain a lot of cash in the short-term future? If the cash you spend makes it harder to pay your bills for the first couple of months, that's not going to fly. The language of economics can help you understand the range of prices consumers will find acceptable and the volume that can be sold at different prices. If you have the flexibility to increase the price from your initial projections, that may solve the cash-flow problem. Surprisingly, although accounting is the language of business, many executives don't speak it. That's one reason they pay accountants to explain that stuff to them in plain English. Leadership and strategic skills are more important career skills; recruiters value them more than accounting know-how, even when hiring chief financial officers. The rationale is that knowing what the company needs to do based on the cash-flow statement isn't going to help if you can't sway other executives to agree or come up with a strategy for implementing your conclusions. In their early career years, an executive may not have any responsibilities that require them to learn the language of business. If they rise through the ranks, however, eventually they'll need at least basic fluency in accounting. Higher-level decisions require a financial, dollars-and-sense justification. The numbers an executive uses for that will come from bookkeepers or accountants. An executive who doesn't speak accounting will be less effective because he won't understand what they're looking at and he won't know what questions to ask. The balance sheet: This financial statement shows the company's total assets, total debts and owners' equity. The income statement: This shows income and expenses for a given period, including money earned or owed but not paid. If you just finished a $2,000 job on credit, you report it as income unless your accounting is cash-basis only. The cash flow statement: This measures actual cash payments made or received, not credit. How the results for a given period compared to predictions. Operational figures such as costs per unit sold. Without this knowledge, it's harder to make informed, intelligent decisions. How Universal Is Accounting Language? Saying accounting is the language of business overlooks that like spoken languages, accounting has different dialects around the world. In the United States, publicly traded companies have to draw up annual financial statements that conform to the GAAP rules. Most of the rest of the world relies on a different set of guidelines, the International Financial Reporting Standards or IFRS. IFRS and GAAP are a lot alike. The differences between them aren't as drastic as night and day, but that's even trickier as the distinctions are easy to miss. That could, for example, lead to an investor experienced with GAAP making a mistake when appraising financial statements written under IFRS. GAAP allows very little room for exceptions or interpretation. 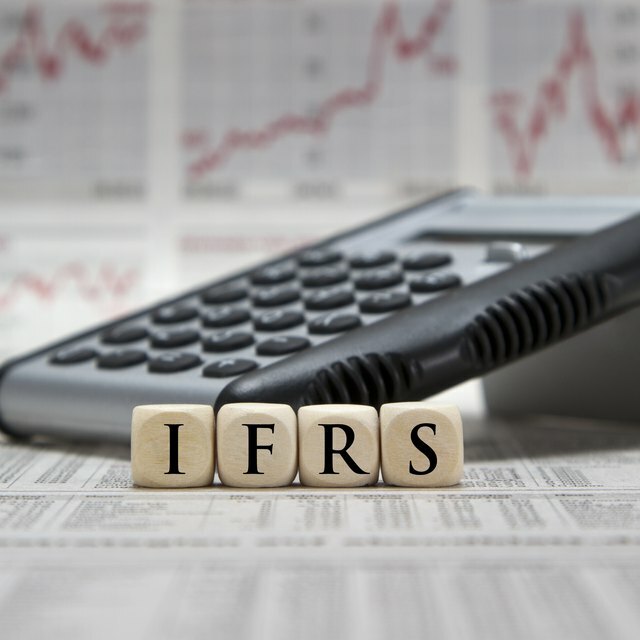 IFRS gives businesses more flexibility. GAAP allows companies to use inventory-valuation methods that IFRS doesn't permit. IFRS allows companies that have reduced the value of the inventory on their books to raise the value back up; GAAP doesn't. IFRS and GAAP value intangible assets such as patents and copyrights differently. IFRS lets companies write off development costs over time. GAAP requires businesses to deduct them the year they incur the expense. GAAP separates debts that will be paid off in the current year from long-term debts. IFRS doesn't. Anyone who does business in both the U.S. and overseas needs to be bilingual in the two languages of business. Just to complicate things, the differences change over time as the accounting world tries to harmonize both languages. GAAP-based income statements used to separate "extraordinary items" such as the effects of a strike or an earthquake on the company from regular income and expenses. IFRS did not. Eventually, GAAP went along with IFRS and dropped the extraordinary item line entry. CFI: The Language of Business: Do You Speak It? Wharton Executive Education: Do You Speak the Language of Business?